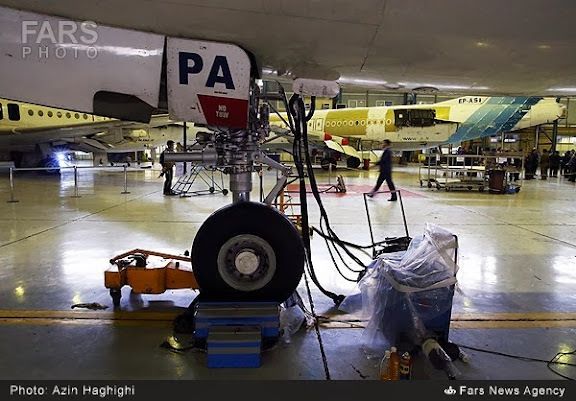 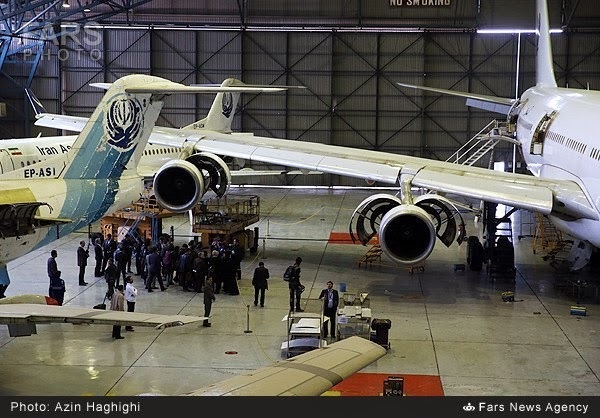 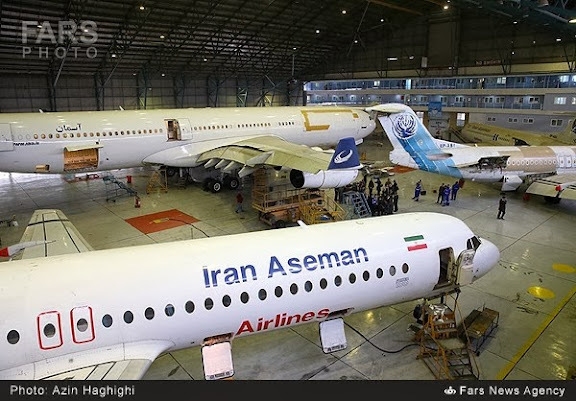 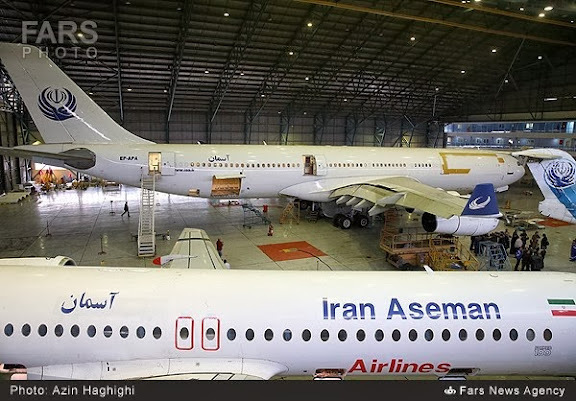 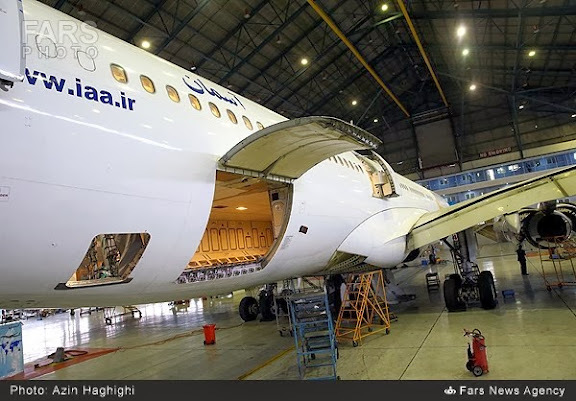 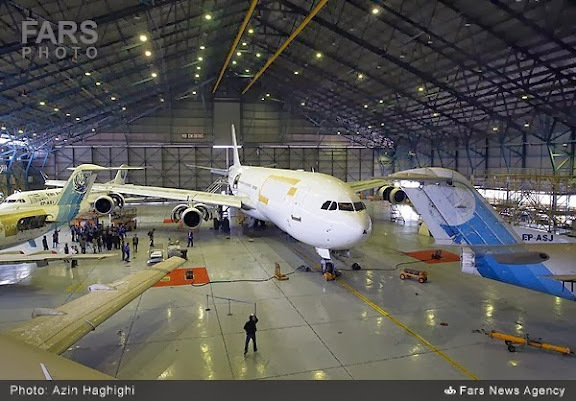 View inside the Iran Aseman Airline's maintenance hangar facility at Isfahan Shahid Beheshti International Airport (IFN / OIFM). Center: Iran Aseman Airbus A340-311, reg: EP-APA (cn 002). 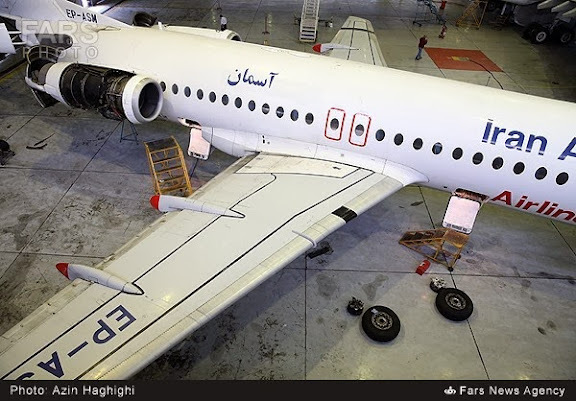 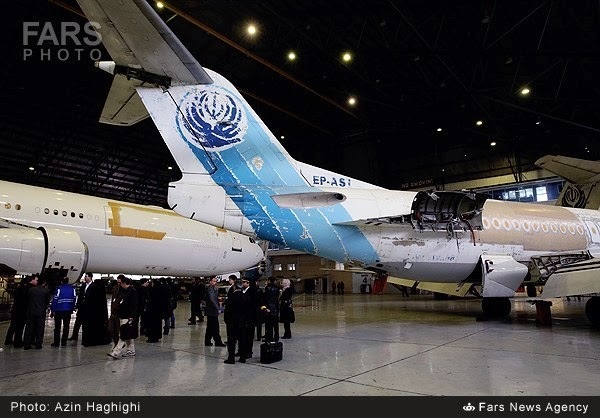 This aircraft flew Iran President Rouhani to New York to address United Nations General Assembly.